This unique spin on the traditional Cajun sausage is made with the perfect combination of fresh alligator, rice, onion tops, and seasonings. We've spent several decades refining our recipe, and we believe you'll enjoy it. 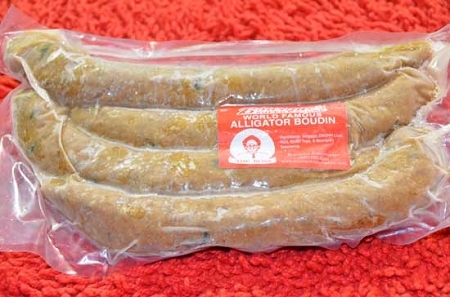 My hands down favorite of all of the boudin varieties---I only could wish it was less expensive.